Rawsome Superfoods kitchens handle nuts and legumes such as cashews and peanuts. Although we are extremely careful with how we handle produce and the machines that are used for juicing and preparing our foods, cross contamination with allergens can happen. If you are deathly allergic to anything we use in our products, avoid Rawsome Superfoods. Even if we do not use nuts or legumes in a product you are interested in, we do use these ingredients in other products we produce. We do not diagnose or treat illnesses. Individuals with serious illness should compile data from several sources prior to fasting. Individuals using prescription medication should not do a cleanse since the effects of their medication will be amplified by their cleaner system. Extremely toxic people should not attempt cleanses longer than three days without medical supervision. Women who are pregnant or nursing should not attempt a cleanse. 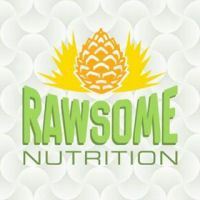 Copyright © 2019 Rawsome Superfoods KC. All rights reserved.